The most versatile rear bumper swingarm for your 80 Series on the market! Almost a year in development, the Delta VS Rear Bumper System is an easy to use, modular, expandable tool for your vehicle. The heart of this systems lays in these swing-out arms. Our carefully designed cross-platform arms attach to all of our different current and future bumper offerings, making it possible for you to swap accessories between vehicles as well as upgrade over time while keeping costs down. 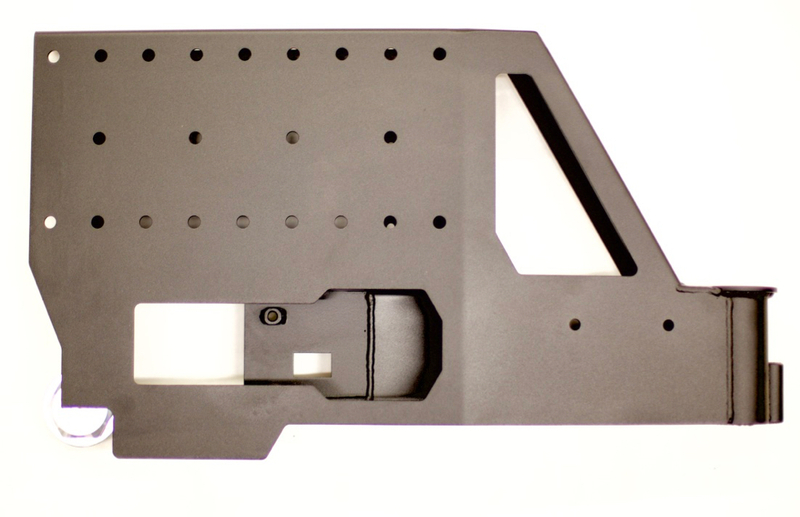 To extend the modularity of the DeltaVS bumper system even farther, we are publishing the hole layout for our arms (see/download below). This allows other manufacturers AND owners/users to develop their own products and custom solutions to attach pretty much anything. The bumper has an integrated step on each side designed to work seemlessly with our upcoming roof rack.